An entertainment center is an awesome piece of furniture for your living room. We offer a variety of free-standing cabinets that fit beautifully as the focal point on your wall. Our entertainment centers offer adjustable shelves and plenty of space to store your video, audio and gaming devices. 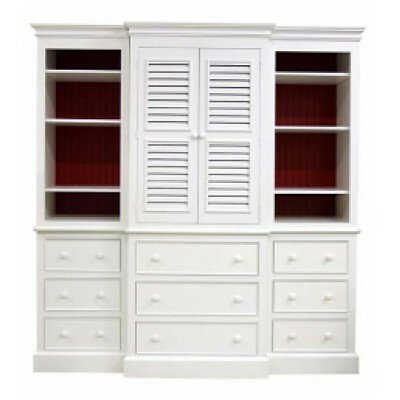 If you’re looking for similar furnishings, browse other storage options in Buffets & Hutches and Cabinets & Cupboards.